This month on the Peach Loop of The Blogorail, we are talking some of the best counter service location at Walt Disney World. 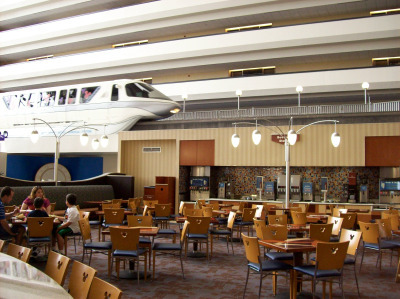 My favorite is the Contempo Cafe located at The Contemporary Resort just steps away from The Magic Kingdom. Read more to find out why. 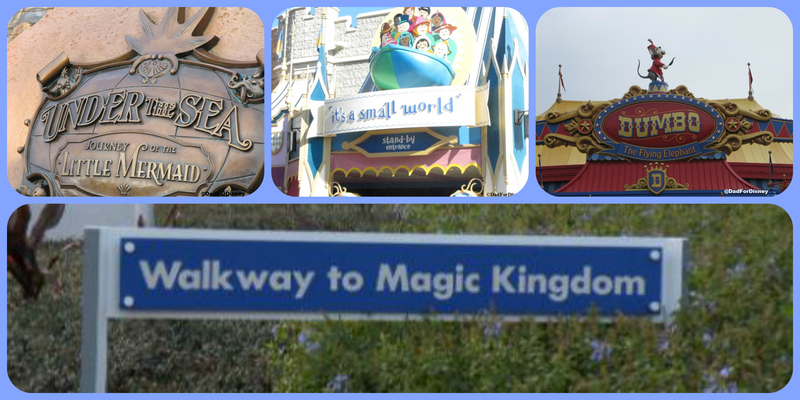 Signs are everywhere at Walt Disney World. 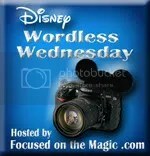 This week’s theme of Wordless Wednesday hosted by Focused on the Magic is Signs. I’m sharing some of my signs. The long sign is a sign that everyone staying at The Contemporary or Bay Lake Tower goes past on their walk to Magic Kingdom. Above our some of my families favorite attractions: Under the Sea – Journey of the Little Mermaid, It’s A Small World, Dumbo the Flying Elephant. 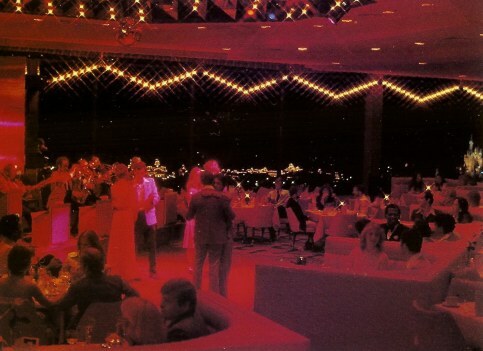 Continuing with today’s theme of The Contemporary Resort, we go back in time to the original Top of the World Lounge. 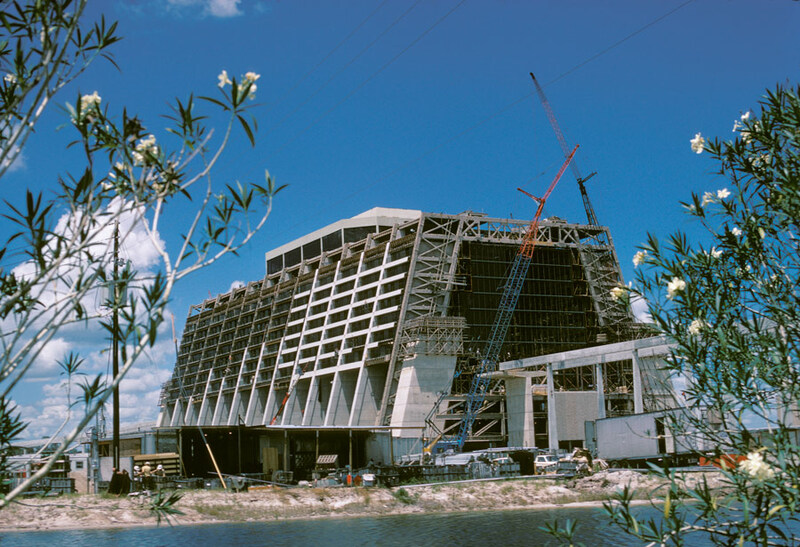 When The Contemporary opened in 1971, what we know as California Grill was The Top of the World Lounge. The lounge was more of a supper club where guests could listen to popular music acts of the era. There was no Wishes or fireworks show. As a result, there was no outside view area. The evening entertainment was the show inside. It varied from acts like Mel Torme to Phyllis Diller. The dinner cost was between $9.50 and $13.50 while there was a $5 cover charge in 1972 which had risen to $7.50 by 1982. There were two seatings for dinner 6:30 pm for the 8:30 pm show and 9:30 pm for the 11:30 pm show. In the mornings, the Top of the World served a daily breakfast and lunch buffet. On Sundays, a brunch buffet was served. As the resort moved into the 80’s, the club became more of a lounge and less of a supper club. Areas to watch the fireworks over the Magic Kingdom were added. The Top of the World Lounge closed in 1993 and reopened in 1995 as California Grill. When Bay Lake Tower, in the early 2000’s, was constructed the lounge on the top floor was named The Top of the World Lounge as an homage to the original lounge from the 70’s.